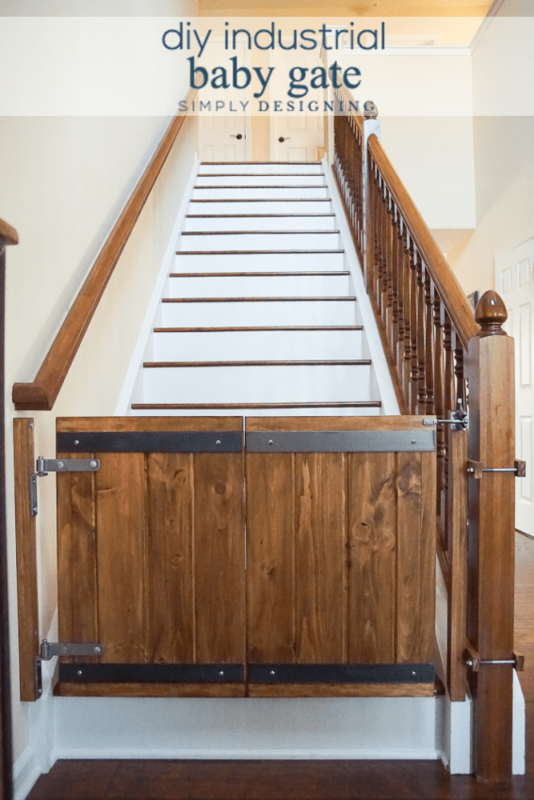 This post was sponsored by KILZ® Paint & Primer as part of an Ambassador program for Influence Central and all opinions expressed in my post are my own. Hi friends! I wanted to take a moment to share some of my plans for my next project that I have up my sleeve! 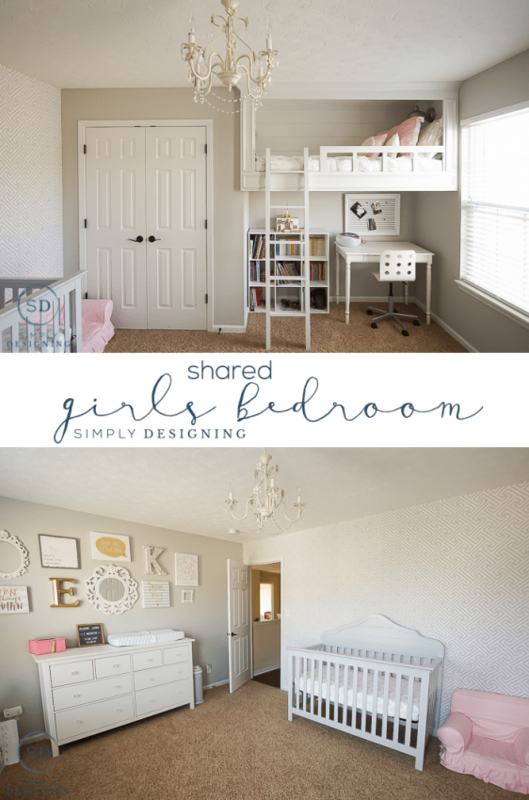 We recently re-did my daughters room for her to share a bedroom with her baby sister, we built her a beautiful loft bed and rearranged the whole space to fit our two girls in that room! After that we built my son an awesome boy’s loft bed complete with a rock climbing wall and a fireman’s pole. This project seriously rocked and he loves to show it off to anyone who stops by your house! Amid all of that, we briefly added a dresser and a few decorations to our master bedroom, but quite honestly, our master bedroom has been looking so sad recently. It is like a half-completed project. I love my new dresser and that wall, but I no longer loved the paint color in the room, the bedding, the nightstands, or the lack of decoration in the rest of the room. It was such a neglected space. But now we plan to finally devote some time to working on it! Wahoo! And I am so excited to share more about my master bedroom makeover plans with you today! I have big plans for this room! Maybe too big. 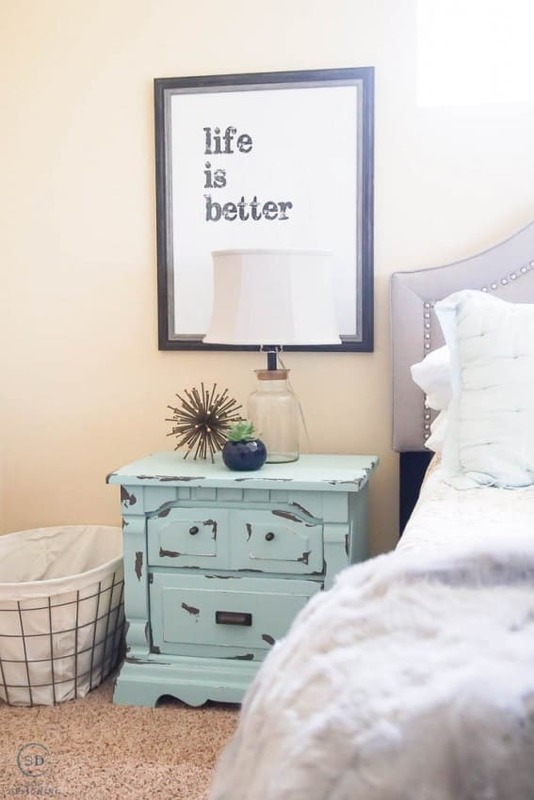 They involve painting the bedroom a different color (maybe adding some shiplap…I haven’t decided for sure yet on that one…), finding new bedding (something more inviting and cozy), and repainting our nightstands! Maybe adding a few more decorations too…but I have one really large wall I am a little stumped on, so I may have to wait until inspiration hits for that wall. We bought our nightstands a few years ago from an antique / thrift store. The nightstands aren’t antique, but they were used. They are also made from real wood, they are large and I could find two matching ones for a great price! 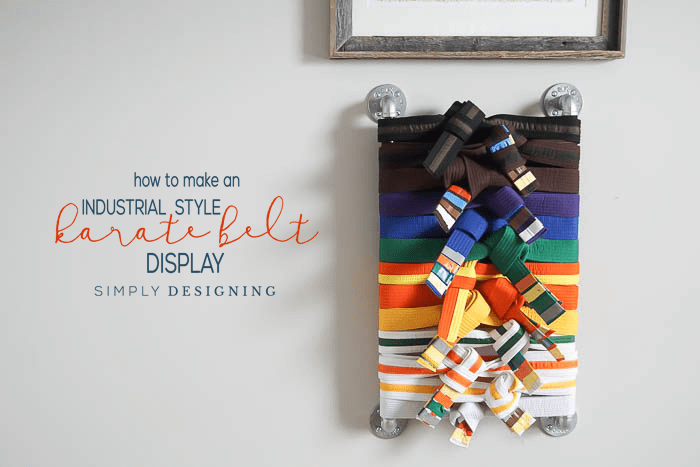 I shared all about how I repainted with in a chippy paint style HERE. But it is time for another update, a big master bedroom makeover! Or maybe just a medium sized makeover. The big chippy look was great a few years ago, but now I am loving more simply painted or very slightly distressed painted furniture. The big chips were a bit much for me. And with my new vision for my bedroom in mind, I decided that painting them a very light gray would be the perfect way to compliment my bedroom makeover! So I decided to head to Walmart to grab some KILZ® COMPLETE COAT™ Paint and Primer. I decided to try this brand out because it has a primer and paint in one container! 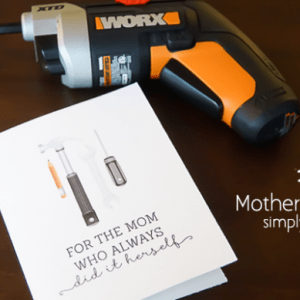 I love any products that make DIYing easier and this sounded like a great product to try! I use KILZ® Primer regularly, so it was a really easy decision for me to decide to try this product out. 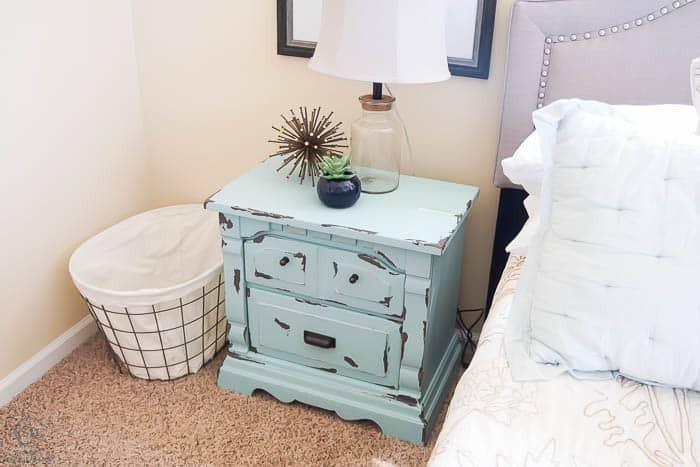 I wanted to do my project right and I know that repainting furniture can be tedious, but I knew that with the right products, and a bit of time and patience, that I could completely transform my chippy nightstands into something new, a bit more updated and maybe with a slightly feminine touch! I am so excited to use this to transform my bedroom into the vision I see in my head! I am really excited to be able to prime and paint in one step! 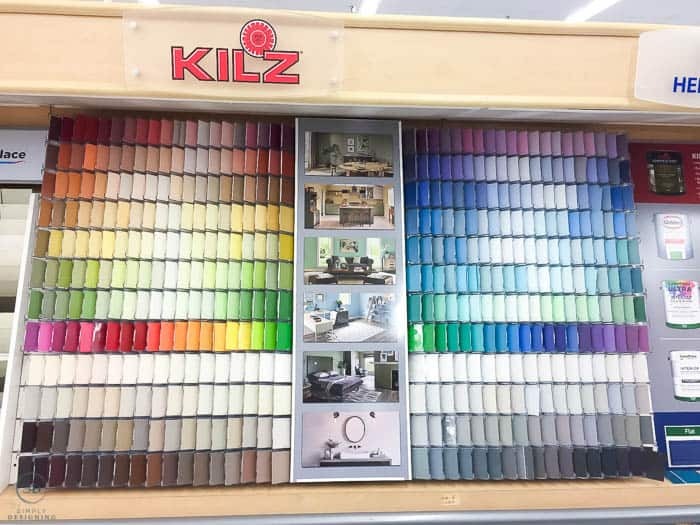 KILZ COMPLETE COAT Paint was easy to find in Walmart stores and I love the huge color palette I was able to choose from! I also love that this paint is an exterior and interior paint all in one. I took a few paint samples home to really pick the exact color I wanted before I had it mixed up. And I am really happy with the color I picked too! I ended up choosing Boardwalk. It is sooooo pretty and it is going to look so good on these nightstands! I know this product will save me a lot of time and money and I can’t wait to see how my night stands turn out! My master bedroom makeover will take some time to fully complete, but I am really excited to see it all unfold and I can’t wait to share everything with you! So stay tuned because I have some fun stuff coming up!